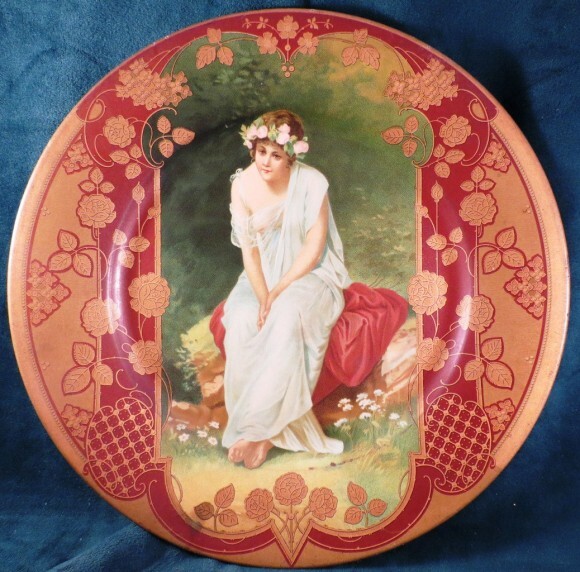 Serving Tray for The Enterprise Brewing Company showing in the center a beautiful woman wearing a white dress whiling sitting on a red blanket outside. A flower design makes up the border of this serving tray. The design of this tray is quite unusual as most trays will use a round border for any illustration, while this one places a rectangular image inside of a large decorative “frame” with plant motifs.